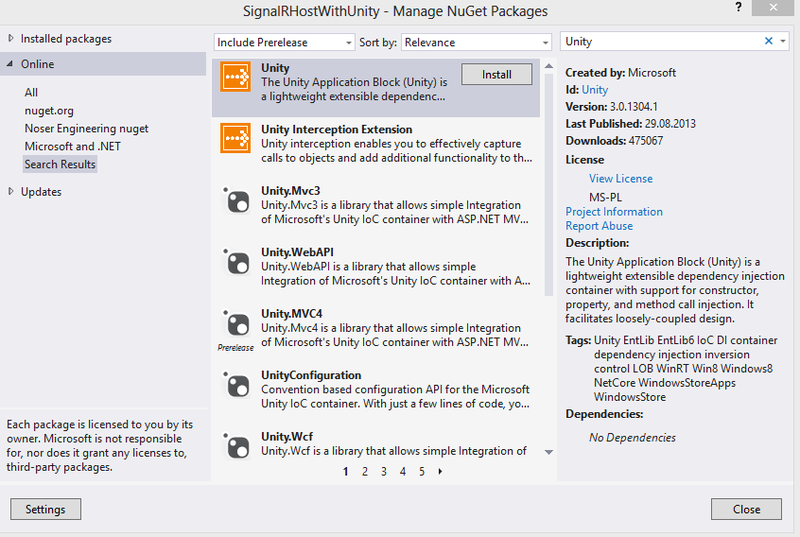 This post demonstrates how to use Unity as an IoC for SignalR. To inject into SignalR, the Microsoft.AspNet.SignalR.Hubs.IHubActivator class should be used. This class implements the IHubActivator interface. The Unity container is used in the public IHub Create(HubDescriptor descriptor) method. Now the Hub class can use constructor injection. The Hub class is now resolved using unity and standard constructor injection can be used. Thanks for writing this post! I needed exactly this and it works great! This article was a great help to get this setup, thank you. Thanks you so much, many tuto on internet didn’t work but yours is perfect ! Is it using unity3d engine?